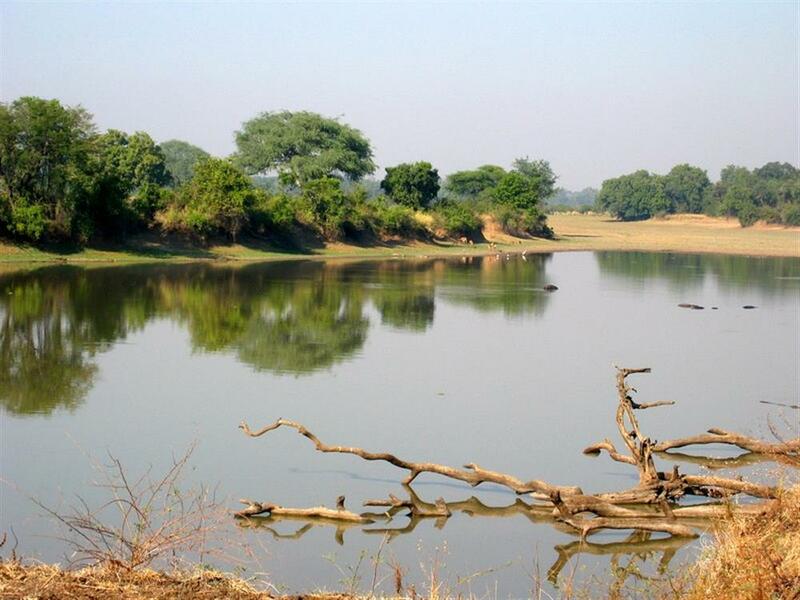 Island Bush Camp is an authentic safari camp sitting in the cool shade of hundred year old Mahogany trees on the banks of the Luangwa River. 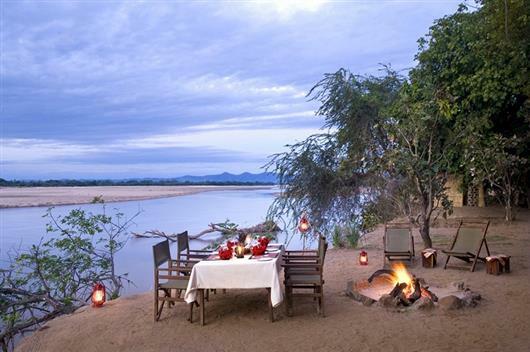 Far from the beaten tracks, the camp offers complete solitude and the chance to explore the bush on small and exclusive walking safaris in the woodland and open plains that exist in the area. 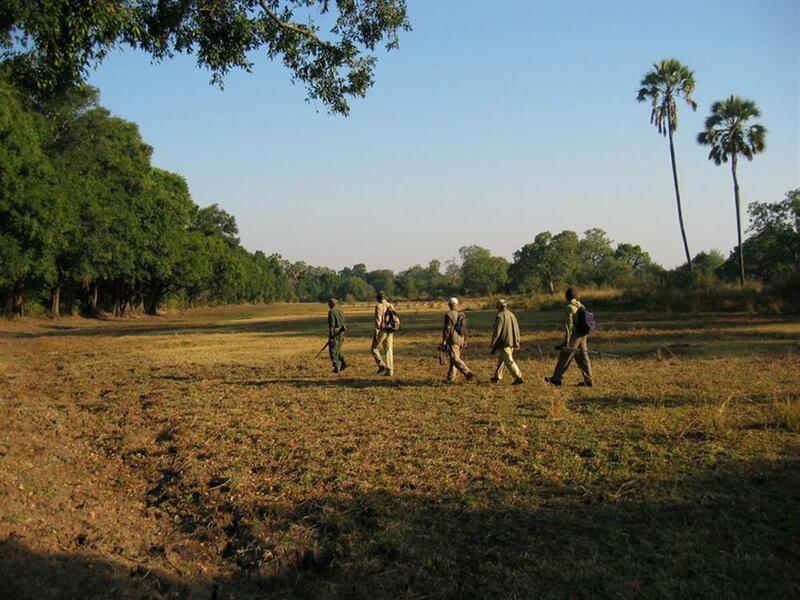 Although the main activity at Island Bush camp is walking safaris, there is also a safari vehicle to get into a variety of walking areas or return from a walk after dark to discover some of the nocturnal wildlife in the area. 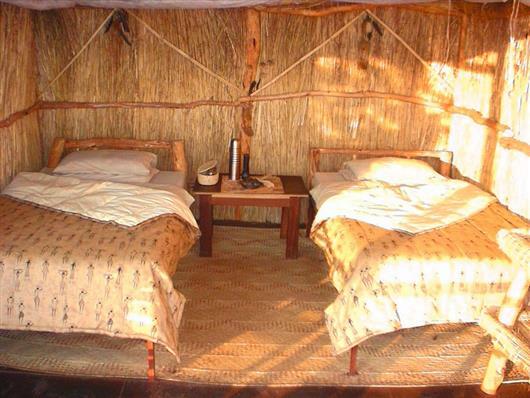 Island Bush Camp has just 5 bush chalets tastefully decorated in a simple bush style, open to the front with views over the river and allowing the sounds of the bush to drift through. 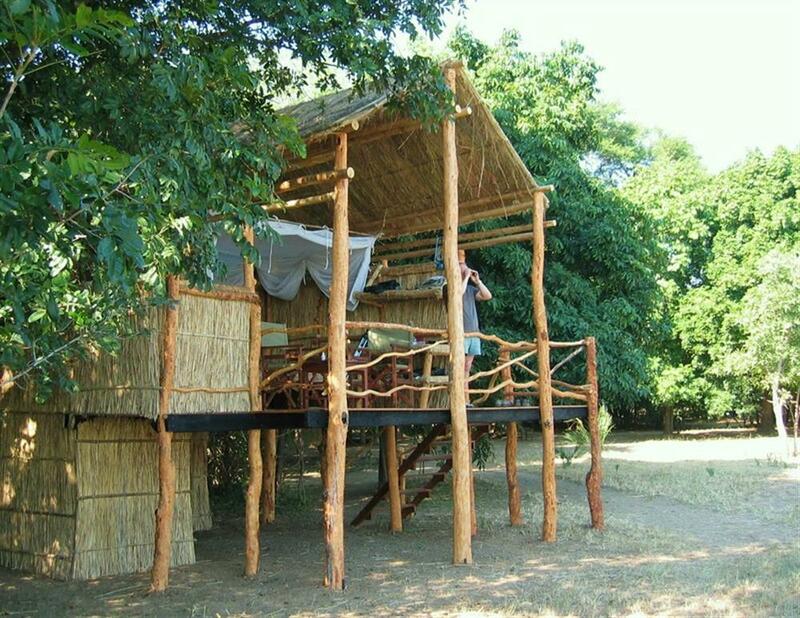 Each chalet is built out of natural materials and sits on a wooden platform high off the ground. Each chalet has an en suite bathroom, open to the sky, with canvas bucket showers filled twice a day with hot water. The shady lounge area is the focal point of the camp, with an imaginatively created drinks cabinet, comfortable chairs and attentive camp staff making this the perfect place to relax with binoculars to hand. The fireplace, right at the river front, is the ideal place to watch the sun rise and fall, marvel at the galaxy of stars and spend the evening listing to the sounds of the wild or to the many bush tales the guides like to share with their guests. 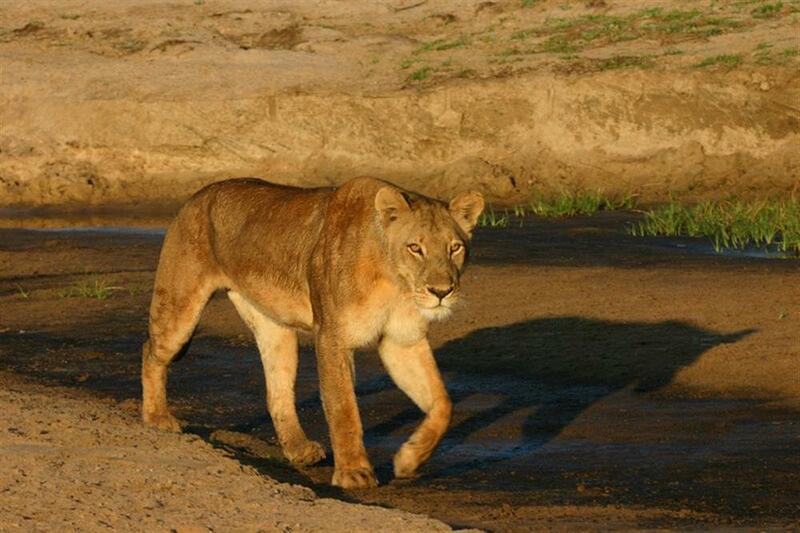 Island Bush Camp is seasonal - the entire camp is constructed each year and is open from 20th May to 31st October only.